Rhizome | Blog Posts tagged "community"
Rhizome | Tue Feb 25th, 2014 9:01 p.m.
Rhizome is a nimble organization that is passionate about the impact we can make in the field of digital preservation—yet the work we do exists outside the funding structures of higher education or institutional research. We think organizations like ours play an important role in the ecosystem of the digital preservation community. If you believe this too, please support us. I was appointed Rhizome's new Digital Conservator in January, and though I've not even started yet, I've had a lot of encouraging feedback. People are enthusiastic about what this organization can do for the field of digital preservation. Christiane Paul | Tue Feb 18th, 2014 2:42 p.m. Still frame from Cory Arcangel, Various Self Playing Bowling Games (2011), as featured in Cory Arcangel: Pro Tools, curated by Christiane Paul for the Whitney Museum of American Art. Rhizome puts the future of new media art in dialogue with its past — support the conversation, donate today. Rhizome has been online since 1996 and I have been lucky enough to witness its growth from an informal email list to the organization it is today. What I appreciate about Rhizome is that even as it continues to evolve and reinvent itself year after year, seeking out emerging ideas, artists, and areas of practice, it remains firmly rooted in a historical context. This can be seen not only in its pioneering work in the field of digital preservation, but also in programming and writing that finds contemporary relevance in media archives and brings different generations into dialogue. Rhizome is a vital link between the past, present, and future of art and technology. Support them, as I do. Give today. Ann Hirsch | Wed Feb 12th, 2014 10:45 a.m. Your Gift Means Rhizome Can Commission Artists - Donate Today? When I received a Rhizome commission, it gave me what it has given so many others: a truly unique opportunity to realize an otherwise-unlikely, ambitious artwork. Donating to Rhizome during its community campaign sustains its commitment to emerging artists, ensuring that others will find meaningful support for their work when it matters most. New York City can be a challenging home for an artist. There's a lot of competition, exorbitant living expenses, and hardship. For me, financial pressures meant that I could only afford to do small scale projects, essentially making work at the same level at which I had been operating since receiving my MFA. Rhizome | Mon Jan 14th, 2013 9:53 a.m. It's been a big year for worthy, interesting projects and causes for you all to support. With Hurricane Sandy relief efforts all along the east coast, many great projects on sites like Kickstarter, and the countless other ways our community gives, we understand if you're a little tapped out this year. Arts organizations like ours survive year in, year out, on the support of the publics we serve. Since we became a non-profit, we've been running our campaign annually and thousands of people have donated over the years – we are thankful for the support we've received. Though we promote the fundraiser online, it's not crowd funding in the way most people have come to understand it today. It's not a one-time project, there's no end date or cut-off for the work we do. Rhizome's fundraiser is an annual ask, rooted in a tradition of public support for arts organizations they deem critical and necessary. Rhizome's mission – to examine, and sometimes challenge, the role that technology plays in culture, from the unique perspective of contemporary art – is one that our readers and audiences believe in. We know you'd like to get back to regular programming at Rhizome. Let's compromise – take us just a bit farther, to $20,000, and we'll cap off the campaign knowing we've got to work harder than ever this year to make sure your investment goes as far as it can to reach our goals. We're willing, if you are. Rhizome | Thu Jan 10th, 2013 1 p.m. In the final week of Rhizome's Community Fundraising Campaign, we profile seven artists hand-picked by Rhizome to generously contribute artworks, ensuring you receive compelling thank you gifts at every donation level. Give now to receive one of these works. Tabor Robak creates sci-fi and techno-utopian interactive virtual environments, websites, videos and images. His imagery exploits high-end commercial aesthetics and slick special effects found in design, video games, action and sci-fi fantasy films. "I truly believe in the transformative potential of technology but I am also trying to be a realist. As eagerly as I await the singularity I also think it is ridiculous to hope for a techno-god to save us. There are 2 feelings I frequently find that reflected in my work that express this attitude. One is a complete, hopeful, teary-eyed love of the glittering special effects and commercial aesthetics. The other is a dark, almost comedic feeling of contentless emptiness." 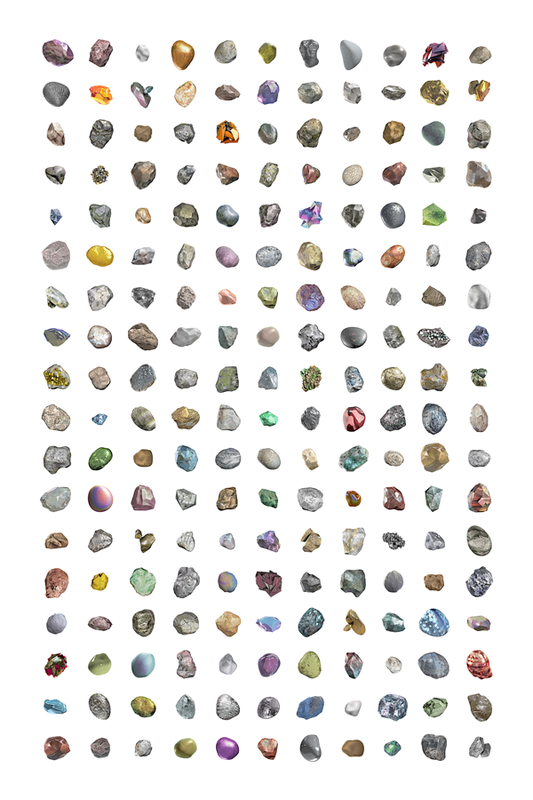 For Rhizome's Community Campaign, Robak has generously donated a limited edition digital print (20'' x 30'') from his Rocks series, Rocks (mirrored) (2012) available at the $125 level. Donors will also receive the limited edition tote bag by ReCode Project, the 56 + 10 Broken Kindle Screens (Kindle Edition) eBook, and one full year of Rhizome membership. Rhizome | Wed Jan 9th, 2013 11:57 a.m. Concerned with the ever growing level of surveillance today, the work of Brooklyn-based artist Adam Harvey aims to provide a fashionable and functional means to combat it. "Smartphones infiltrate our senses. They cause anxiety, phantom vibrations, and keep us on alert. We expend energy maintaining an always-on connection. Smartphones should come with a switch to turn this off, but they don’t. Turning my iPhone off and back on takes 45 seconds. Using flight mode is also clumsy. I wanted a way to quickly and politely disconnect myself without relying on the phone’s software or hardware features. The Off Pocket circumvents this design flaw." 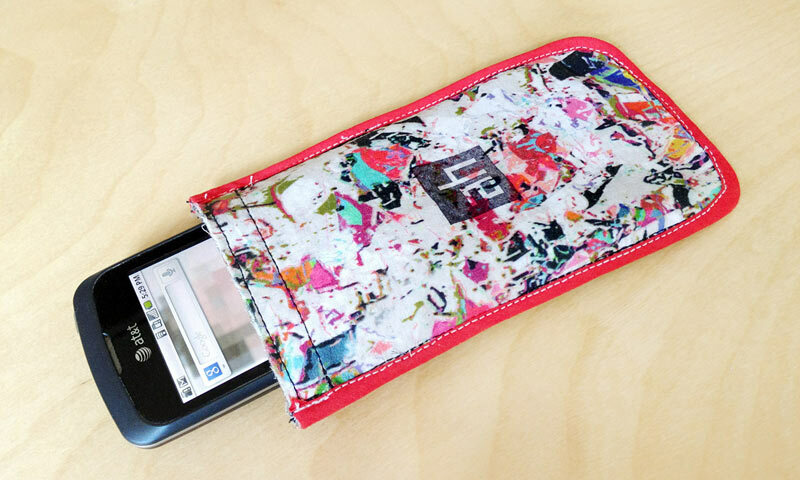 Harvey has donated twenty of his Off Pockets (Off Pouch version) which prevent data leakage from your smart phone. Placing your phone inside of the Off Pocket will improve personal privacy for smart phone users concerned about phone hacking, tracking, or simply a break from the connected life. Contributions of $300 will receive an Off Pocket as well as the limited edition tote bag by ReCode Project, the 56 + 10 Broken Kindle Screens (Kindle Edition) eBook, and one full year of Rhizome membership. Rhizome | Tue Jan 8th, 2013 11 a.m.
2012 was the Year of the Glitch for Brooklyn-based artist Phillip Stearns. Devoted to exploring the manifestations of glitches produced by electronics, Stearns posted a new image, video or sound file to his Year of the Glitch tumblr every day throughout the year. The images on Year of the Glitch are "not of broken things, but the unlocking of other worlds latent in the technologies with which we surround ourselves. Part of what this project is about is approaching the familiar with fresh senses, to turn it into something that is unfamiliar." 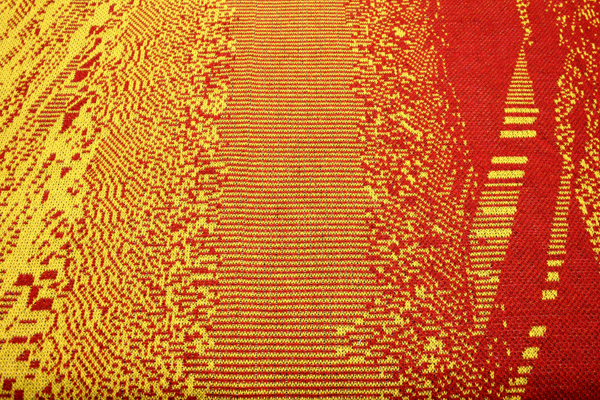 Through his glitch-a-day project, Stearns developed a collection of woven and knit textiles whose patterns were generated using images taken with short circuited digital cameras. 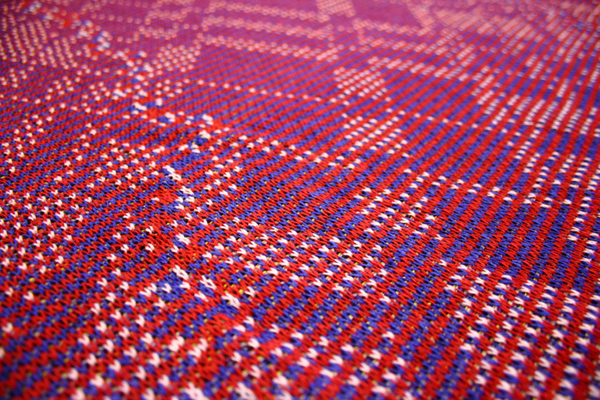 Glitch Textiles converts cold, hard digital information in to warm, soft blankets, rugs or tapestries. Stearns's textiles exposes the technology that surrounds us, and transforms it into a cozy and inviting object to wrap yourself in. Stearns has donated five Glitch Textiles to Rhizome's Community Fundraiser. Available at the $500 level, donors will receive a Knit Glitch Blanket (40" x 60") made from machine washable 100% cotton. 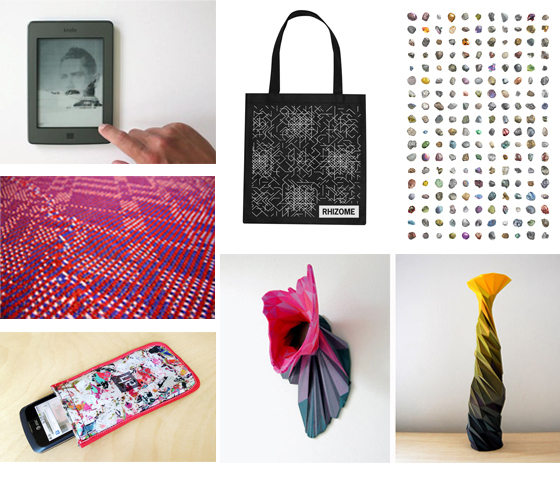 Donors at this level will also receive the limited edition tote bag by ReCode Project, the 56 + 10 Broken Kindle Screens (Kindle Edition) eBook, and one full year of Rhizome membership. Rhizome | Mon Jan 7th, 2013 12:06 p.m.
Matthew Plummer-Fernandez is a London-based artist who combines scanning, 3D printing, and computational approaches to make remixed art objects. His 3D printed works expose the limitations of the technology and the glitches that occur when translating real objects into digital ones. In his Digital Natives series, Plummer-Fernandez samples everyday household items, remixes them using his own software, and then 3D prints them using a z-corp printer with a color resin, in order to blur the line between the real and the digital. 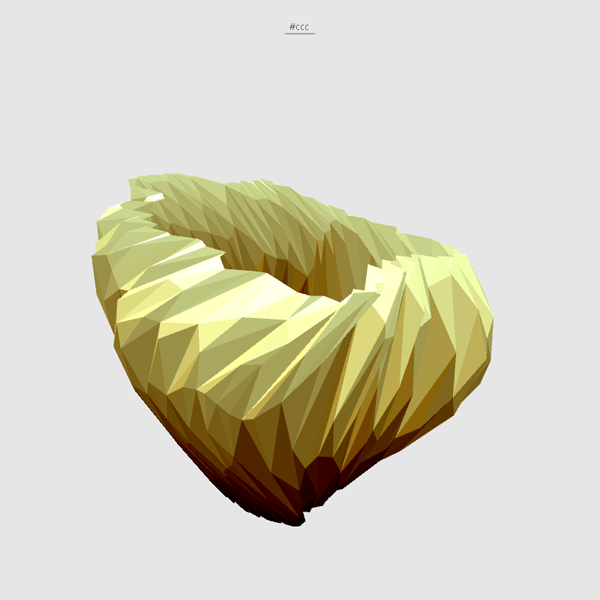 Once functional objects are rendered useless, but beautiful, in their new algorithmically abstracted forms. Laura Davidson reviews Plummer-Fernandez's work for Rhizome, noting he takes: "...a more creative approach to engineering... His work proposes new ways in how we discuss the process of making a crafted object. 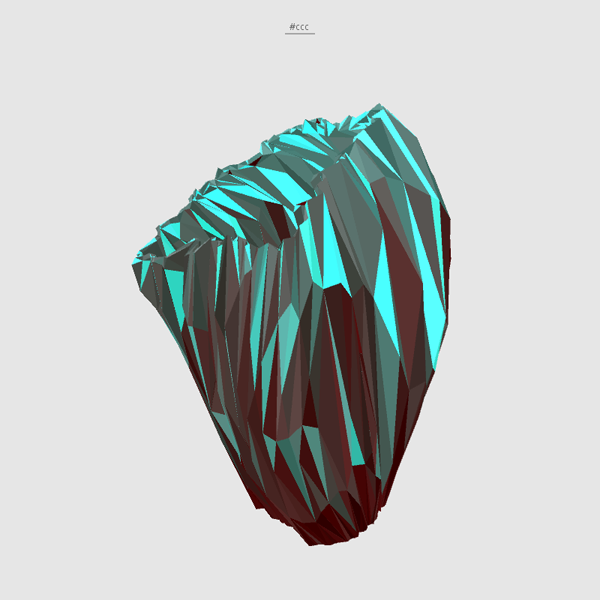 Algorithms and their parameters become a tool to be mastered in the same way a lathe or a chisel would be... The results are almost alchemic and magical." For Rhizome's Community Fundraiser, Plummer-Fernadez has donated two limited edition pieces from the Digital Natives series, available at the $1,000 level. The designs were based on a scan of a typical yellow ceramic jug and transformed using the artist's software. These unique table sculptures will be printed in the color of your choice. Rhizome | Wed Jan 2nd, 2013 10:58 a.m. Happy New Year from all at Rhizome. The new year starts with a new push encouraging you to donate to our annual fundraising campaign, and you'll be seeing things ramp up around here during its final two weeks. The amount we're raising is crucial to our programs in 2013, and will further Rhizome's mission to examine technology culture and its social, political and aesthetic implications, from the perspective of contemporary art. If you value Rhizome's work — if you read the site, share links to our articles, use it to find out about new artists, come to our exhibitions and events, or interact with the organization in any number of ways since 1996 — donate today. Arts organizations like ours survive on the support of the publics they serve, and Rhizome has a particularly strong community around it. With under two weeks left, now is the time to express your support.